Origene Igiraneza, 24 years, is Rwf8.2m richer. He is one of the three winners of Tigo Rwanda’s Digital Change Makers competition after he attempted twice to compete and failed. “The first time they told me that I wasn’t eligible for the competition, I was in high school, the second time I lost but now I won,” says Igiraneza. A university graduate, Igiraneza, founder, together with two other colleagues of O’ Genius Company develops software. The software he presented into the contest will help to improve ways of education especially in high school and universities. He declares that funds from competition will serve to upgrade the software and make it better to another high level. The three winners were selected among six finalists who were also nominated among 140 candidates. 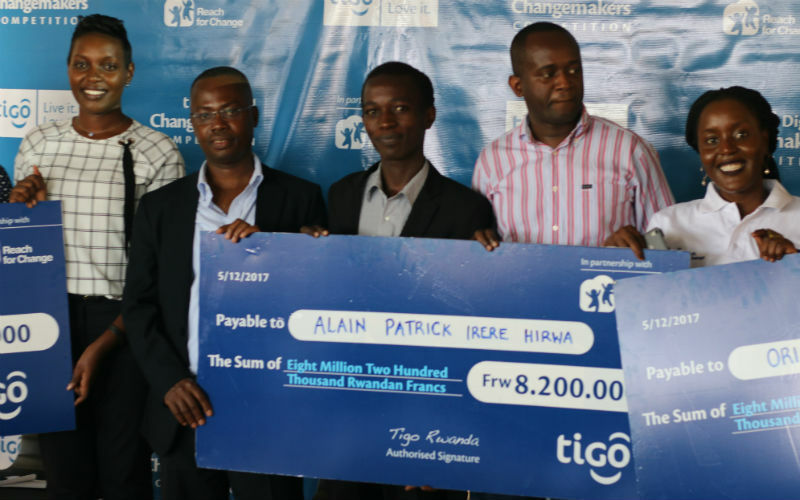 Tigo Digital Change Makers competition helps entrepreneurs by combining their passions to change the society. “Do it, do whatever comes to your mind, just write it down and do it,” Amoateng told the youth at the ceremony. He adds that Tigo empowers people to live better, it supports people with money. He also says that with technology one can sit wherever he or she is and talk to his or her family who lives far. Irere Claudette Director General of innovation in ministry of information technology and communication reminded winners that they should work harder and move on better level. Irere recommends them to keep in mind that what they have achieved is not for themselves but for all Rwandans. Bobson Rugambwa developed a digital mobile banking including saving digitally. 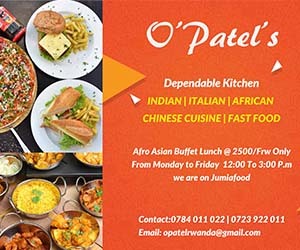 Patrick Irebe Hirwa Alain created an application that will help parents to bear are talking about reproductive health with their children by watching a TV serie through that application, and there will be space where to share people’s story and experience. Tigo Digital change makers support winners financially and continue to follow-up their project till they make sure that entrepreneurs are ready to fly with their own wings which take around 5 years of supervision. Irere Claudette says that Rwandan youth should learn how to spot opportunities; she recommended them to make their mind working hard instead of staying home and wait for government’s job opportunities or asking a lot their family.